In Ngaire’s trademark engaging and easy-reading style in this book she unravels the complex science of nutrition and brain health. This is a book for anyone wanting to know where the science of maximising brain health is at and what can be done to head off future cognitive decline. It is well known that currently there is no guaranteed way to avoid dementia nor is there yet a cure. But there is an immense amount that can be done. 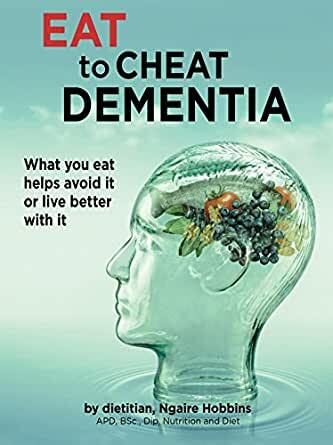 Eat To Cheat Dementia provides an understanding of the factors at play and how you can choose food to greatly benefit the health of your brain as well as your body to help keep it at bay. But as well this is a book for those who are living with a dementia diagnosis, those they care about and who care about them. It provides a wealth of information, advice and strategies to help those living with dementia continue to enjoy maximum independence and quality in life and when they require additional assistance to be able to eat and enjoy food that is enticing as well as nourishing. Ngaire Hobbins is a dietitian driven by a passion to promote independence and health in older people by averting physical and mental decline all too common because of inappropriate food choices. She is an ageing wellness advocate, promoting the joy of eating and the essential place food plays in the health of all older people, whether living independently, being assisted in the community or residing in residential care. She's lives in Australia and is a clinical practitioner, aging wellness consultant, author and lecturer in dementia studies, University of Tasmania, an aged care consultant and seniors' advocate. Ngaire is skilled at combining insights from clinical practice with the latest scientific information and translating that into language accessible to the everyday reader. The science in nutrition, brain health and cognitive decline has come a long way in the past few years and Ngaire brings that to the everyday reader in this book. Complex neuroscience and nutrition strategies are rendered accessible and Ngaire provides practical, sensible strategies for all - whether readers wish to know the latest in maintaining brain health, or need guidance to live well with a dementia diagnosis. 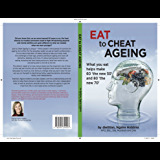 Ngaire's books have come about because she saw too many older people who were following eating advice that was wrong for them - advice right for people 30, 40 or 50 but anything from unhelpful to dangerous for those nearer to 80 or beyond. They were often unaware that the food choices they thought were right, instead put them at risk. Age imposes unique demands on our bodies and not eating to meet those contributes to physical and mental decline, thus squandering precious independence. She is also an engaging and knowledgeable speaker who presents a refreshing approach to eating and boosting vitality and independence in later life. 4.0 out of 5 starsVery happy..